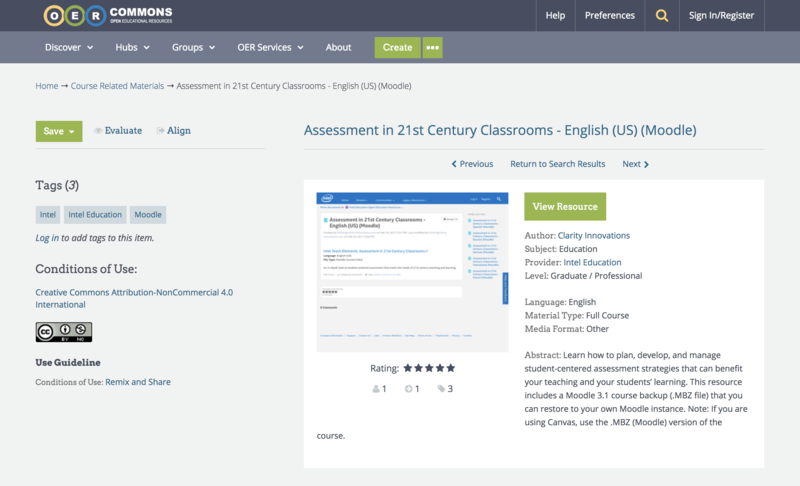 Repackaging proprietary content for OER use | Clarity Innovations, Inc.
Providing a legacy for high-quality curricular and professional development materials while making them open and available to all educators. When one of our long-standing clients decided to focus their company efforts in a new direction, we saw an exciting opportunity to repackage their proprietary content and make it open and available for widespread use, thus allowing the high-quality curricular and professional development materials to maintain their legacy. By converting online courses and resources to OER, we were able to provide open source files that can be imported and adapted across any learning management system. When the strategic focus of a Fortune 100 client shifted to other priorities, this long-standing client was left with the challenge of maintaining their high-quality, research-based curricular and professional development materials. As the proprietary materials would not continue to be supported in the traditional way, the only option they saw was to decommission the materials entirely. We presented them with an alternative option to give the valuable content a new lease on life as open educational resources (OER). We recognized the promise of providing freely accessible, openly licensed professional learning materials as part of a greater movement toward OER to provide access to high-quality education materials and improve learning through remix, reuse, and co-creation. Using our expertise of learning management systems and online professional development, we converted the proprietary content into a IMS Common Cartridge format and restructured the content into a way that allowed for easy editing and sharing. We designed an online community page to host and support the OER files, as well as publishing our work with emerging OER markets online. Extensive testing across a variety of LMS platforms has ensured that the new courses and curricular materials are sustainable and open for educators to continue growing, improving, and sharing the resources. Initial feedback from educators implementing the OER content is promising. While the initial project involved a partial sample of the client’s professional learning portfolio, the positive response has already led to work on the conversion of additional resources. With our expertise in learning management systems and OER, we will continue to support this process as we build sustainable materials for many years to come.